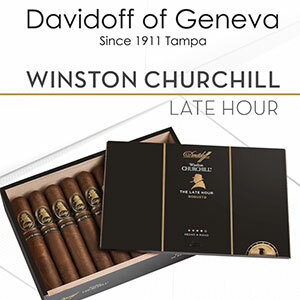 Join us on August 4th, from 3PM-7PM, for our Winston Churchill "The Late Hour" Event at our Davidoff of Geneva since 1911 Tampa store. "The Late Hour" cigar is crafted with an attention to detail that is signature to the Davidoff cigar brand. One stand out feature to this smoke is its viso leaves from Condega, Nicaragua which have been aged in spent single malt Scotch whisky barrels. Join us at our Davidoff Tampa location and experience this beauty for yourself.